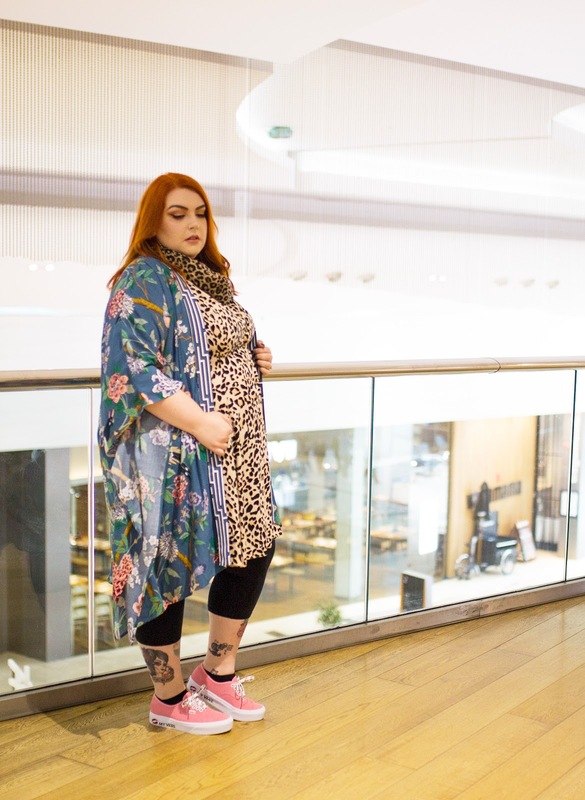 AW18 MIXED PRINTS TREND // INTU DERBY WELCOME TO OUR WORLD - Sugar, Darling? 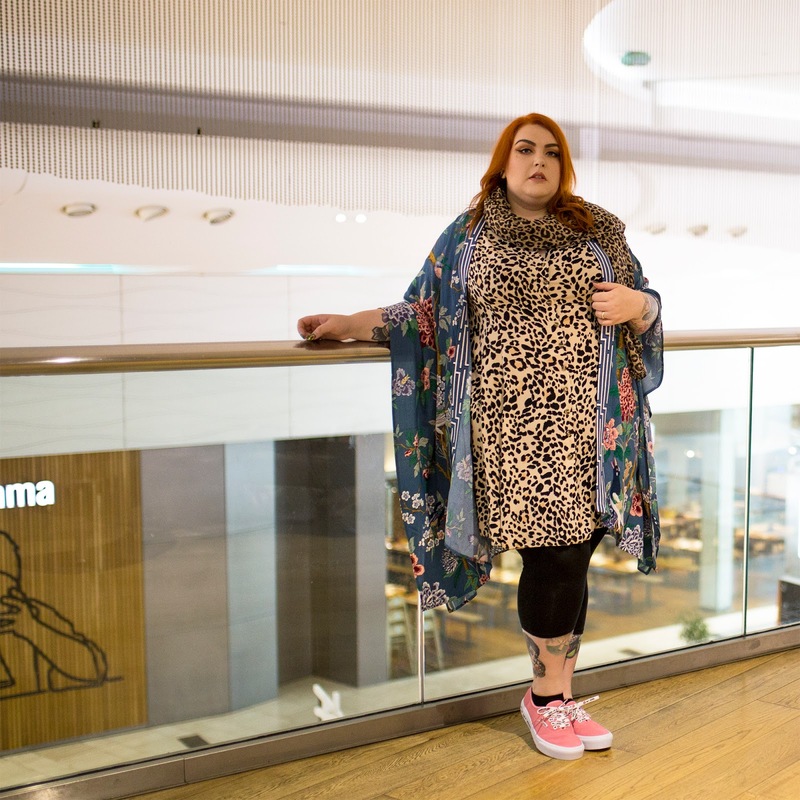 I can't believe we're already at the final installment of my outfit series for intu Derby's Welcome To Our World campaign! This final look is definitely the most relaxed of the three - mixed prints! The catwalks were covered with animal prints again this year which of course I'm totally into, but i loved how they were being mixed with florals, geometric prints and even patchwork pieces. Seriously this trend makes putting an outfit together as easy as pie and really lets your personality show. 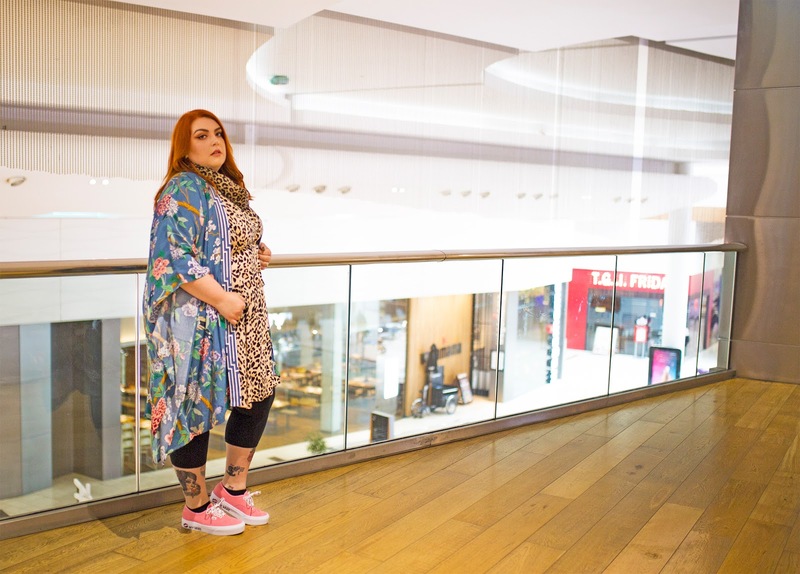 The base of my look was a dreamy Leopard Print Shirt Dress from New Look (£22.99*) that I bet you've seen already, I think the glam pint and easy to throw on style is why its proven so popular. 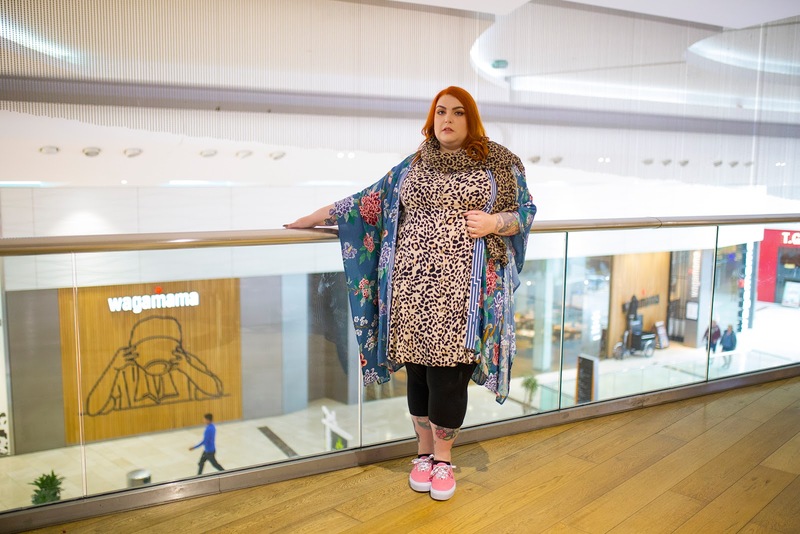 A Leopard Print Scarf (£7.99*) also from New Look in a darker, more dense design seemed a great piece to team with it to keep off those chilly Autumn breezes. 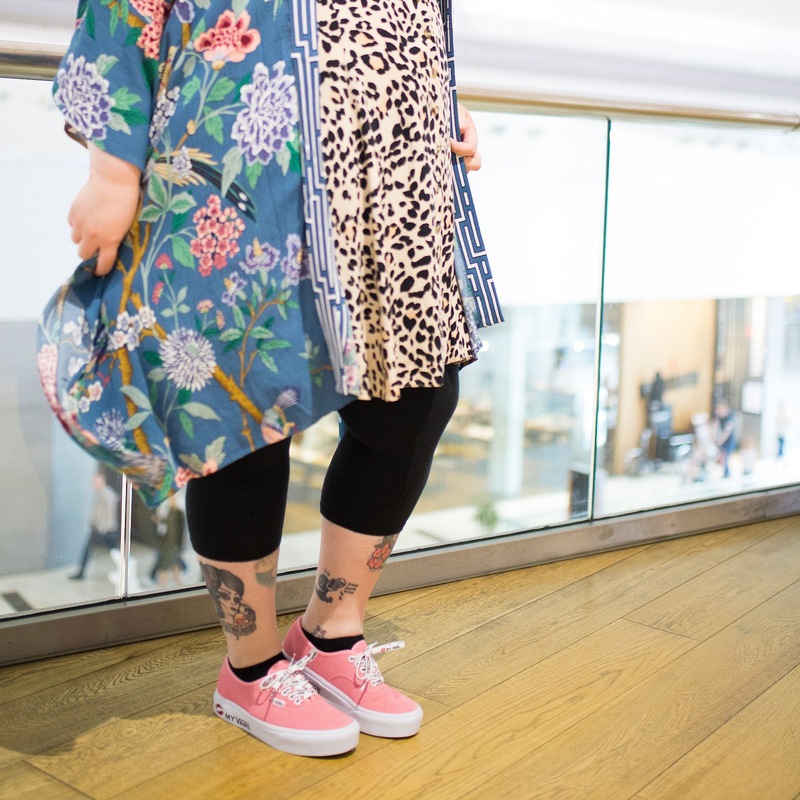 With this being a short length and short sleeved dress I knew I needed some extra cold protection with a pair of basic black leggings but the pièce de résistance is definitely this incredible GP and J Baker x H&M Kimono Style Jacket (£39.99*) from H&M. 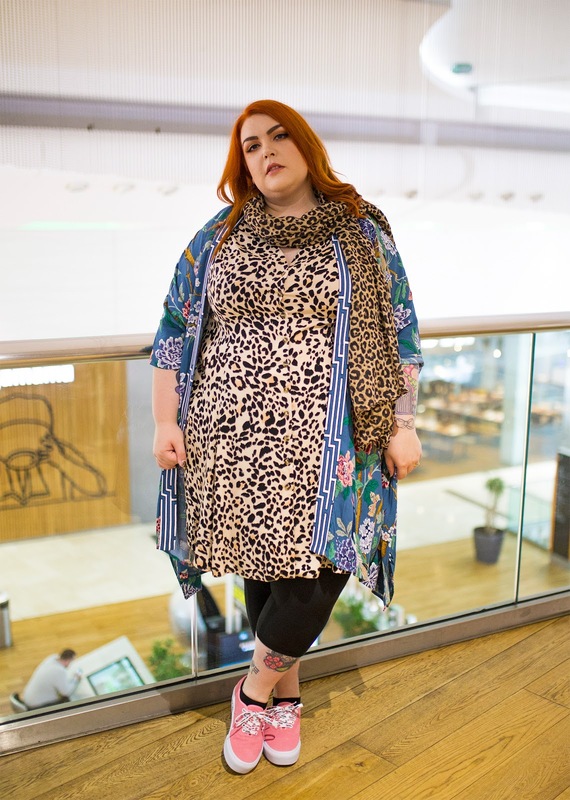 This isn't from their plus size range but as it's an oversized fit it still works perfectly for me and honestly, isn't this intricate pattern and teal blue colour amazing? 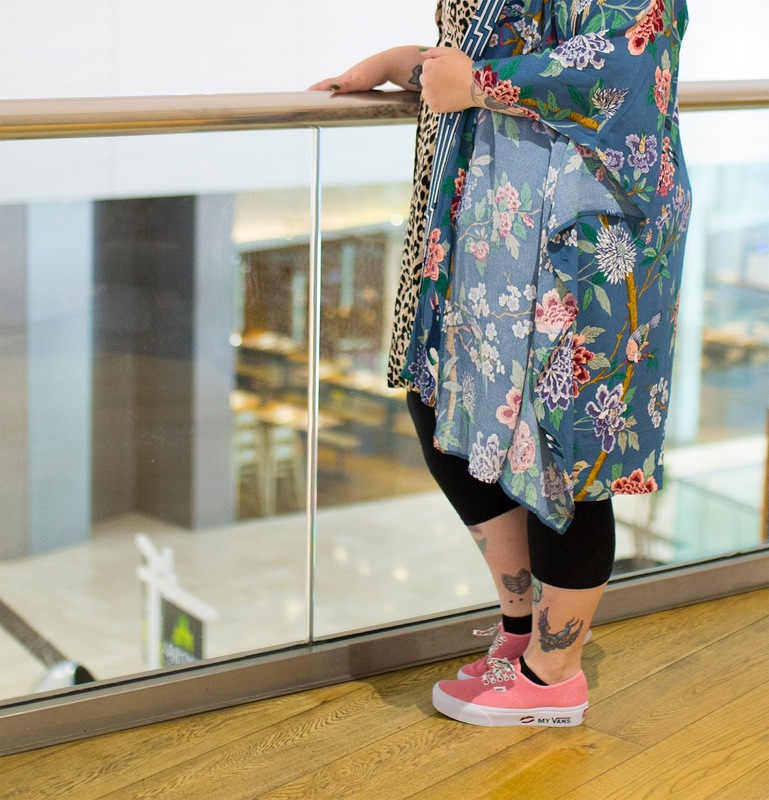 As we all know I have a bit of a trainer addiction and may have used the touches of pink in the jackt as an excuse to buy these incredibly adorable Vans Authentic KMV Geranium Pink Platforms (£59.99*) that are exclusive to Office Shoes. The gorgeous pink suede is what drew me in but when I noticed the lipstick print on the laces and cut out oif the platform sole I just fell in love and had to have them! I really hope you're enjoyed checking out these looks as much as I loved putting them together! 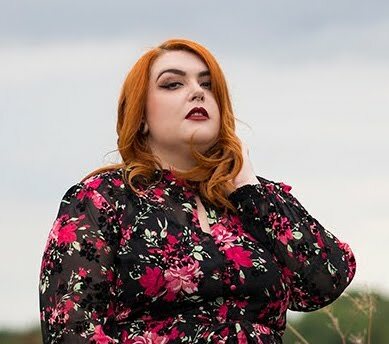 Thanks so much again to intu Derby for asking me to work with them on this feature - it honestly is my favourite shopping centre in the East Midlands and I highly recommend you go for a visit if you're ever in the area! *This post is sponsored and contains gifted items, but all information and opinions are 100% honest and my own.